Take advantage of great investment opportunities now ! If you are interested in retiring in Baja or the Rosarito/Ensenada area or just have as desire to secure a place in the sun for your family to enjoy. Club Marena is one of the safest, well-established developments along the baja coast. 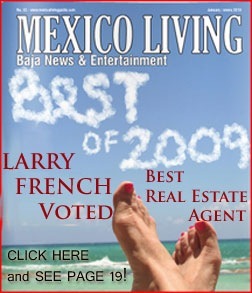 We, at Baja Rentals, recommend one of the most reputable agents on the coast, Larry French. Larry currently has more listings in Club Marena and can help you find the right property in Club Marena or anywhere along the coast. He can guide you to your goals and guide you through the process and mitigate the nuances of the Mexican purchase process. Check out Larry Baja Real Estate website. It has lots of information on how to safely purchase property in Mexico, view beautiful new resort developments and his personal listings. He will work with you to meet your goals, identify securely acquirable properties and guide you through the process to insure a safe transaction. 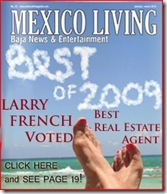 Larry is a member of Baja's Number One Brokerage Team, The Baja Real Estate Group. Together they can bring to bear the most experienced and knowledgeable team to work for you. Their collective capabilities, advance marketing and local knowledge bring you the best team on the coast. for AMPI/NAR (National Association of Realtors). Rent before you buy !